What happens to liabilities when you sell your company? I suppose it’s a question you think the buyer is most concerned with, especially if the buyer doesn’t expect to be responsible for any of the seller’s debts. But sellers have legitimate concerns also, particularly when the buyer is assuming certain liabilities. 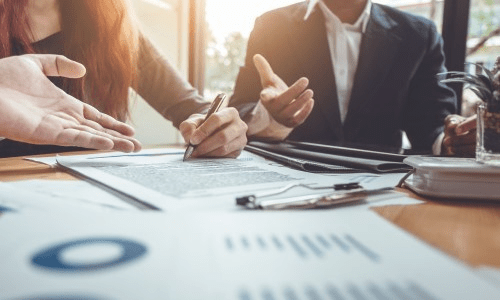 Buy-sell agreements need to be carefully drafted to ensure that every contingency is covered and the intention of the parties is clearly set forth in the written agreement. That’s a mouthful. The first issue we should dispense with is, do you need a written agreement? How about a handshake? OK, I admit it, there aren’t many alarm guys out there who think a handshake is enough. But there are plenty of alarm company owners out there who think their nephew just out of law school, or some yoyo recommended by some other yoyo (that often includes a buddy who sold his company or the accountant or even the broker) can handle the deal sufficiently. Too bad that’s not usually the case, especially if we define “sufficiently” as each side getting what they expected and no dispute or litigation follows the closing (assuming the deal gets that far). The typical Asset Purchase Agreement (APA) makes the general statement that the buyer is assuming no obligations or liabilities of the seller. It’s a good way to say it. But there are some obligations that will be assumed and they need to be carved out of the general statement. First and foremost, the buyer must assume the subscriber contracts, agreeing to perform all obligations the selling alarm company agreed to perform. This is essential to the seller if the seller has given a guarantee of the accounts, which is also typical in an APA. If the seller is giving a guarantee of the accounts it stands to reason they are going to want/expect the buyer to assume and perform all subscriber contract obligations. That can mean finishing an installation, performing RMR-based services, such as inspection, repair service and monitoring. There may be other obligations the buyer is expected to assume. If the sale includes licenses held by the seller or other contract rights that are transferrable, such as distributorship rights, vehicles that are not free of liens or leased equipment used in connection with the seller’s business, the buyer may want these items and the contract may require the buyer to assume these obligations. There may even be deals where the buyer assumes certain trade debt of the seller, in which case the seller would credit the buyer against the purchase price, or the parties would have included that assumption of debt as part of the consideration going to the seller. For example, if the seller is indebted to the central station the buyer may assume that debt. Buyers will usually insist that the seller pay off all debt because the buyer doesn’t want to risk those creditors looking to the buyer post-closing. By the way, a buyer need not worry that a seller’s creditors will sue them if the buyer has paid a fair market value for those assets. Of course a buyer could be sued, but the buyer would prevail as a good faith purchaser. That assumes the creditor doesn’t have a lien on the assets, in which case the secured creditor can look to recover the sold assets covered by the lien. Have I lost you yet? Have I convinced you that you need a lawyer to handle the buy-sell transaction? The thing is that there are lots of issues that have to be addressed in the APA for an alarm transaction. Not many lawyers have handled more than one such transaction and for most your deal will be the first and last. Not a good idea. A better idea would be to enlist a “house counsel” who can, among many other things, oversee and handle such a transaction.